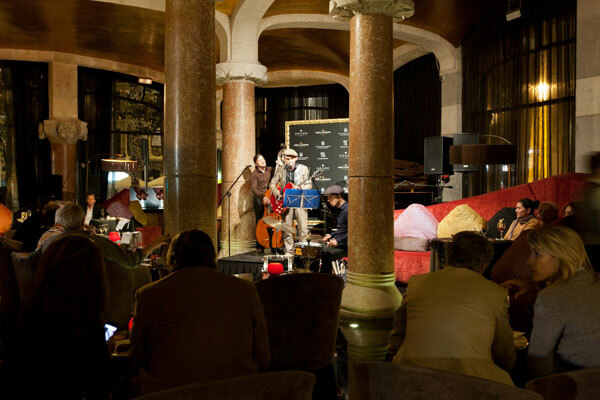 Every Thursday night between 9pm and 11pm,“Café Vienés” transforms into an exclusive Jazz Club. Great artists such as Woody Allen and his clarinet, the Yoshida Brothers, Eddy Davis, Conal Fowkes, Doc Scalon Trio, New Orleans Rag Trio or the Barcelona Swing Serenaders among others have all played on its stage. Celebrate our 85th anniversary with us. * The dinner or tapas menu starts being served at the beginning of the concert, at 9pm. It was chosen by Woody Allen as one of the stages for the shooting of his Oscar-winning film Vicky, Cristina, Barcelona. Woody Alle accompanied two of the most outstanding members of his ‘Woody Allen New Orleans Jazz Band’; Eddy Davis and Conal Fowkes on numerous occasions, reminiscing the atmospheres of the best jazz clubs in New York t for locals and tourists to enjoy. 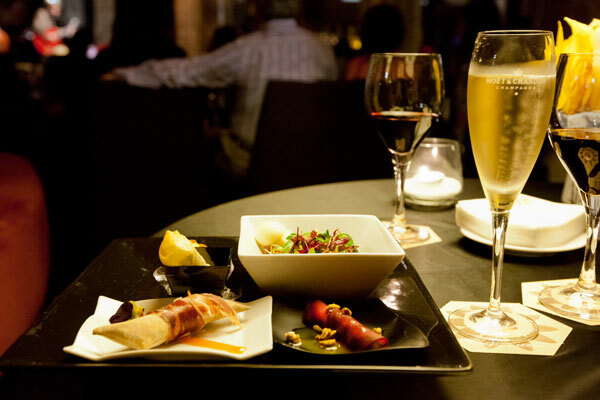 Treat your loved ones with a unique experience: gift vouchers for a Jazz Session with Dinner, Tapas or a drink. Café Vienés offers gift vouchers for a certain date or with an open date (valid for 3 months) so that the person who receives the gift can choose the concert they wish to attend. The purchase of vouchers can be made in person at the hotel or by e-mail ([email protected]) –in this case, payment will be made by bank transfer.